How to install jaw crusher for 300 TPH limestone crushing plant? NewsHome > News > How to install jaw crusher for 300 TPH limestone crushing plant? Great Wall stone crusher engineers give the perfect solution on basis of client's requirement. PE900*1200 Jaw crusher is suitable for 300 TPH limestone crushing plant for its big input size and high reduction ratio. Jaw crusher and cone crusher are both advanced tech,convenient operation and durable service life . If you have any other questions on stone crushers or stone crushing plant, please feel free to contact with our online service. Previous: What is Jaw crusher price for construction waste recycling project Mozambique ? 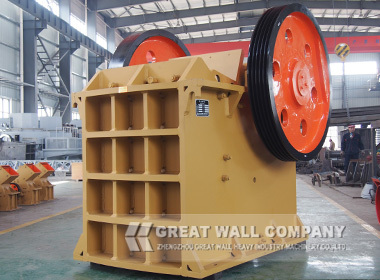 Next: What are jaw crusher prospect in Quarry crushing plant?